Barinder Balbir Singh Sran is an Indian cricketer, who was born on 10 December 1992. A left-arm pace bowler, he is capable of hitting huge sixes. Born in Sirsa in Punjab district, Sran has an impressive domestic record with 68 wickets in 29 matches. Barinder received training in boxing during his childhood. Not having any previous cricketing experience at all, Sran owes his professional cricketing career almost exclusively to the Indian Premier League. He attended a trial camp organised by Kings XI Punjab in Mohali in 2009, but was not selected. However, he impressed Punjab selectors and was called up to the state team at the age of 19. Barinder Sran made his debut for his home side Punjab in the year 2011 against Orissa and registered three wickets in Punjab’s win. He made his ODI debut against Australia in January 2016. He took three wickets for the team, giving away 56 runs. Sran made his T20I debut against Zimbabwe in June 2016, bagging 4 wickets for 10 runs. After a fairly average season the brilliance of the bowler was spotted by Rahul Dravid and Sran was picked by Rajasthan Royals in the IPL 2015 auction, but played only one game that season. The following season was a breakthrough one for Sran. He took 6 for 61 in a Ranji Trophy match against Railways, with Punjab recording a score of 604-5. It was then followed by Barinder receiving national team call ups with him performing very well on his debuts. His impressive performances in the international matches earned him accolades from Mahendra Singh Dhoni and Yuvraj Singh; the latter referring to him as a ‘younger version of Zaheer Khan’. After making an impressive debut for India cricket team in Australia in 2016, the left-arm pacer suffered a stress fracture in his right foot, followed by a knee strain. It took the 24-year old Sran almost a season to get back from his injuries, during which he missed out on a crucial domestic season with Punjab. Sran has played for Rajasthan Royals, Mumbai Indians and Sunrisers Hyderabad in the IPL. He took 14 wickets for Hyderabad during their season winning run in 2016. 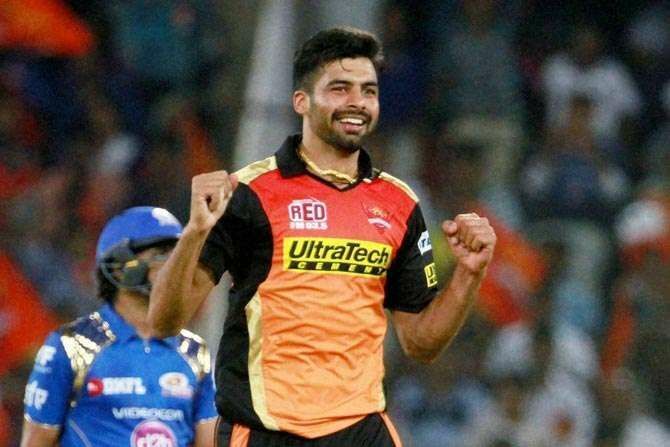 Barinder registered debut figures of 4 for 10 against Zimbabwe at Harare Sports Club on 20 June 2016, which are the best bowling figures by an Indian debutant in T20I cricket. Sran was awarded Man of the Series as well as Man of the Match in his debut T20I against Zimbabwe for his performances. Comic: India flex their muscles!